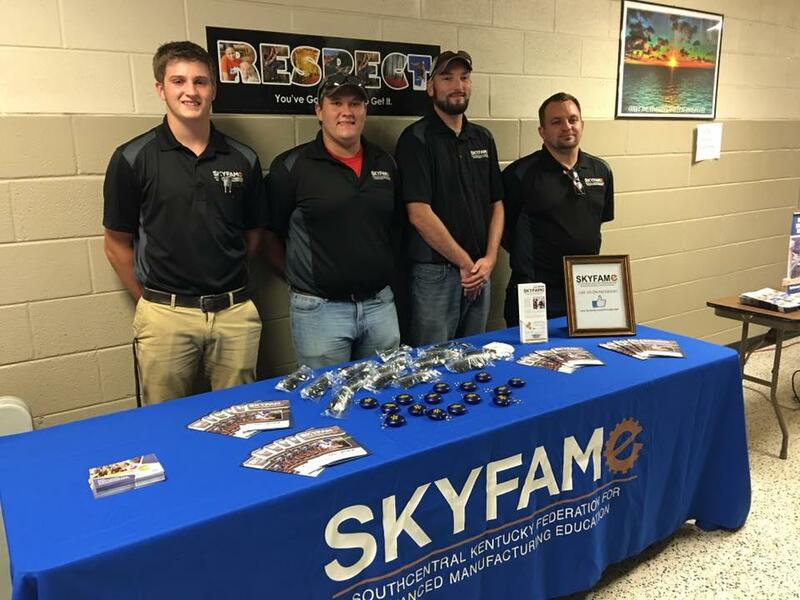 SKYCTC and SKY FAME’s AMT program will directly address employer needs in Southcentral Kentucky for an increased and more highly skilled workforce by increasing the number of work-ready, multi-skilled associate degree graduates. 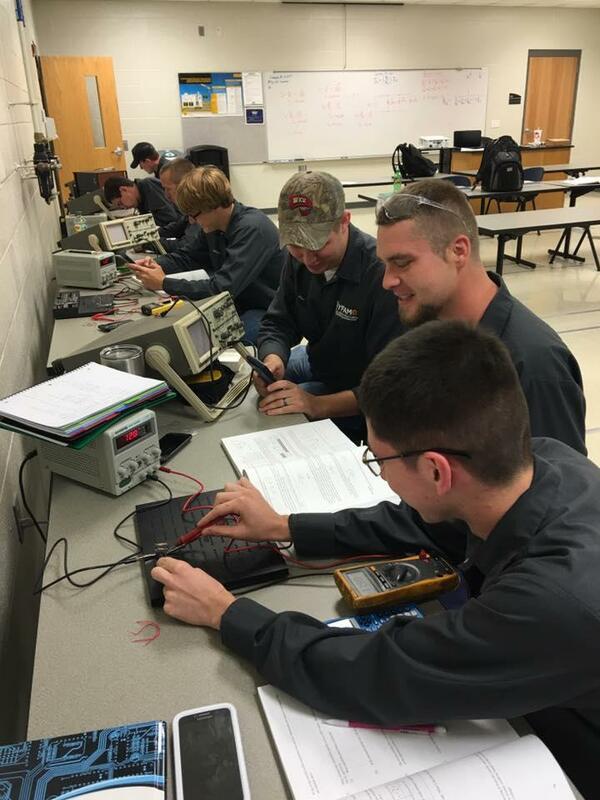 Students participating in the AMT program at SKYCTC will work at a sponsoring manufacturing company for 95 weeks while simultaneously earning an Associate’s Degree in Applied Sciences. SKY FAME—in its second semester at SKYCTC’s Franklin-Simpson Center—has a strong Logan County Connection. Six of the 23 student workers are from Logan Aluminum. They are Matt Burchett, Adam Spaulding, Roger Turnbaugh, Tommy Hines, Kenneth Faircloth and Josh Johnson. Burchett, Hines and Faircloth are Logan County residents. Burchett is joined by cohort members Sebastian Rolett, Clint Baker, Brandon Brown and Billy Vick as graduates of Logan County High School. In addition to Logan Aluminum, current manufacturing partners are Sun Products, Kobe Aluminum, Bowling Green Manufacturing, Traughber Mechanical, Franklin Precision Industries, Sumitoma Wiring, Kapstone, Delta Faucett, and Merritor. Others, including Champion Petfoods of Auburn, are expected to be part of future classes. 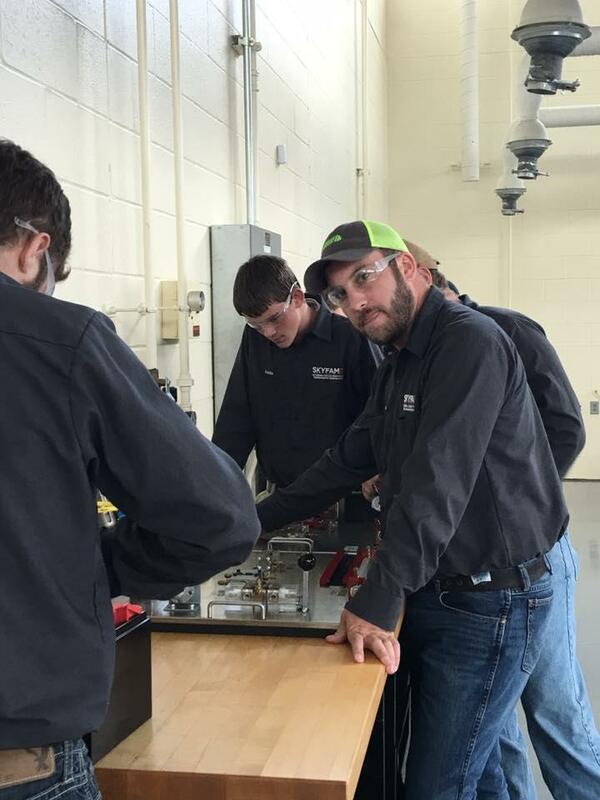 The students work, earn competitive wages, and learn specific Manufacturing Core Exercises (MCE). The exercises teach Safety Culture, Workplace Organization, Lean Manufacturing (creating more value, minimizing waste, and using fewer resources), Problem Solving, and Machine Maintenance and Reliability skills. The AMT curricula is embedded with soft skill dynamics and workplace ethics. These exercises and behaviors build upon one another in the manufacturing workplace and are an integral part of enhancing workplace readiness, soft-skill needs, and overall goal of producing highly skilled Maintenance Technicians for our workforce. The AMT program can serve up to 60 students annually. The Kentucky Work Ready Skills funding will be used to purchase an AMTEC Advanced Manufacturing System Simulator for SKYCTC’s AMT program. The AMTEC simulator introduces the students to the fundamentals of real-world integrated systems all on one machine. The systems include Safety, Robotics, Pneumatics, Hydraulics, Lubrication, Introductory Faults and Troubleshooting. The funding for 25 projects, which were approved Tuesday, Jan. 31, came out of a $100 million bond initiative announced last year by Bevin as a way to improve Kentucky’s workforce training. The winning applicants had to demonstrate partnerships with private industry and how they would train more workers in five business sectors: advanced manufacturing; transportation and logistics; business services and information technology; health care; and construction trades. Applicants could request money for new construction, renovations, or new equipment and technology. A second round will award $34 million later this year. Hal Heiner, secretary of the Education and Workforce Development Cabinet, said the 25 projects were narrowed from 117 proposals. The Work Ready Skills Advisory Committee asked the finalists to see if their project could work with less money than proposed, and in most cases, they could, which allowed the committee to choose more projects.